Email us at [animalpharm@mail.com] with your order and payment preference and you will be sent an invoice with a wallet address. 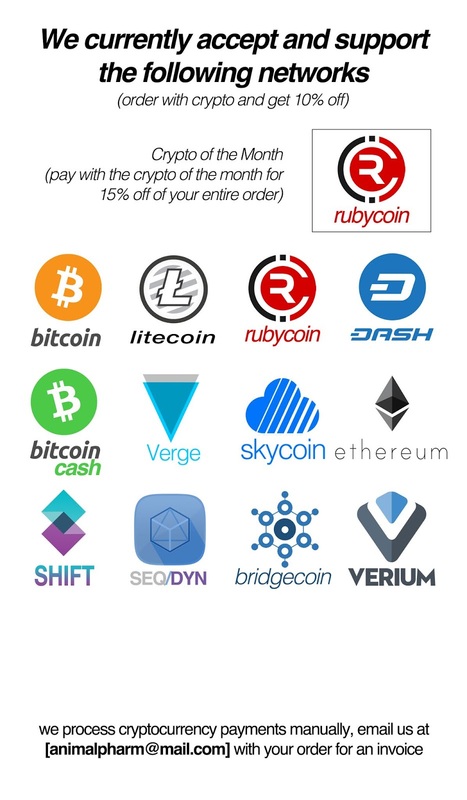 All orders paid via crypto are 10% off. This will be included in your invoice. [Swarm drops next week] and limited time 10% off everything! Naked Blends and Brain Spikes and Migration, Oh My!